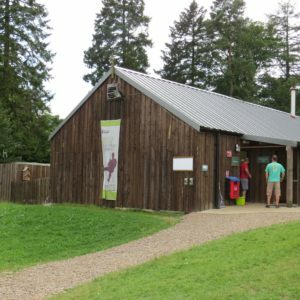 Whether you visit us for a stroll in the Gorge, an outdoor adventure challenge or to camp under the stars, How Stean Gorge has a host of modern facilities to make your visit extraordinary. Our campsite and Bunk Barn are situated in the middle of the gorgeous Yorkshire Dales meaning you have an absolutely breath-taking view right on your doorstep. 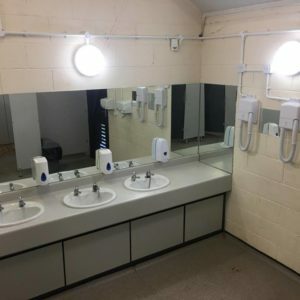 However we know that a lot of people still want the comforts of home when they go camping for the weekend, so we make sure our facilities are up to that standard! Fully accessible Licensed Cafe and additional events space with floor to ceiling glass walls and partial glass floor overhanging the gorge! Mini Bus transport by prior arrangement. Stayed here over the weekend with my girlfriend and two friends. Facilities were exceptional and everything possible was at hand, staff were helpful, willing and friendly. Lots of activities to offer which unfortunately we didn’t undertake, but I’m sure we will be back to get involved with. the village of Lofthouse was within reasonable walking distance for even the weariest of legs. All in all great place 10/10. 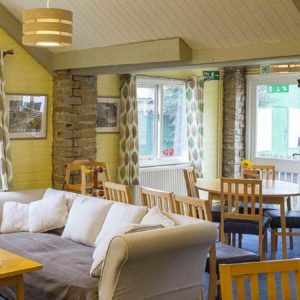 Fresh, home-made Yorkshire fare is served within the cafe. You can choose from an array of hot meals including an all day breakfast, lasagne, scampi, omelette or sausage, bacon, egg and chips. We also have a choice of lighter snacks including jacket potatoes, baguettes, bacon buttie or home-made soup. After your meal you could try one of our desserts, the home-made pavlova has been a firm favourite for over 40 years now or try How Stean Gorge Ice Cream, made only ½ mile away in Lofthouse, you can even see the cows that make it from the car park. Flavours include chocolate, vanilla and fruits of the forest. We also have a selection of irresistible home-made cakes including the Jap which has also been a firm favourite with customers for over 40 years! The summer opening hours for the café is 9am till 6pm. Last orders for food are taken at 5 o’clock however, we can take groups of 10 people or over for early evening meals if booked in advance. 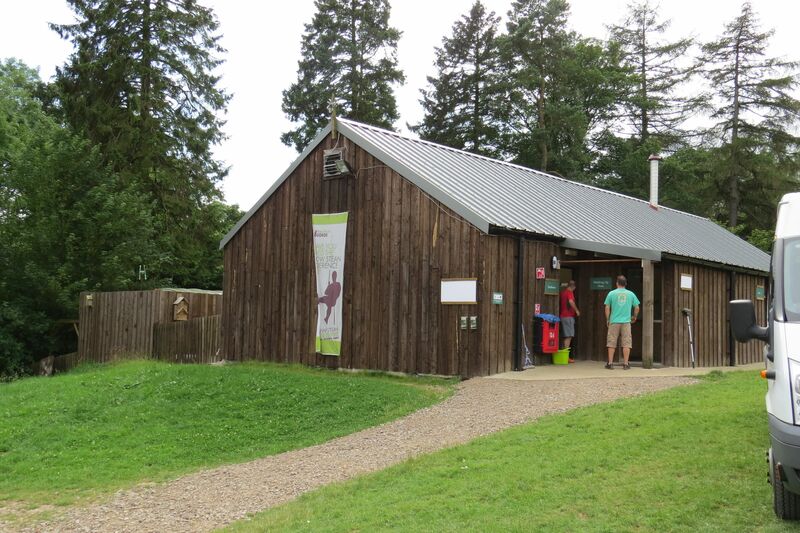 Family-sized hot showers, toilets and modern changing facilities are all on-site. 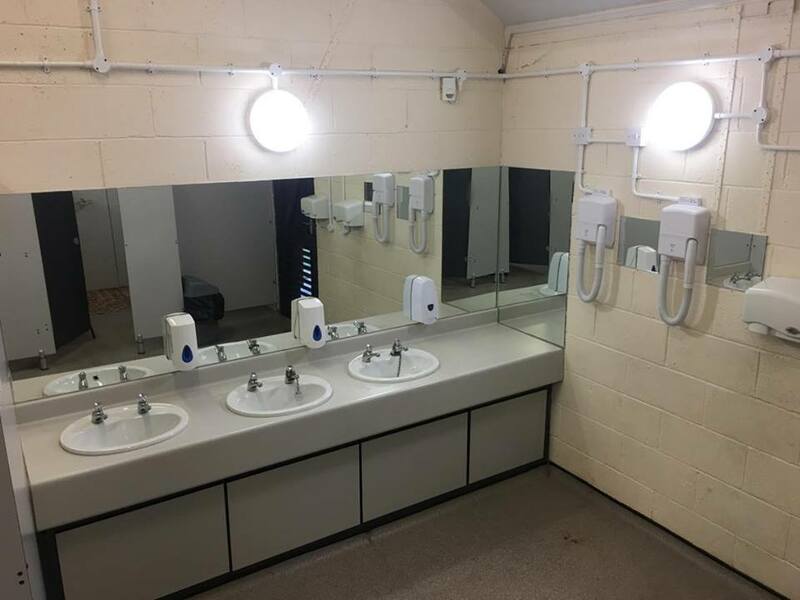 We have 11 (6 male, 5 female) individual large shower cubicles, 10 toilets (5 male, 5 female) and 6 sinks (3 male, 3 female). We do not have any electric points for hairdryers, however, there are 2 free hairdryers in both toilet areas. There is also the washing up room for campers with three large deep sinks. Free wi-fi is available in the restaurant and on the sun terrace. Your mobile phone will not work here as we do not get a signal at all, however, we have a Pay Phone on site. Our 16 seat PCV minibus is now available for hire to the general public. Whatever your minibus hire needs, we will provide you with a first class service to and from railway stations, airports, hotels and other venues. 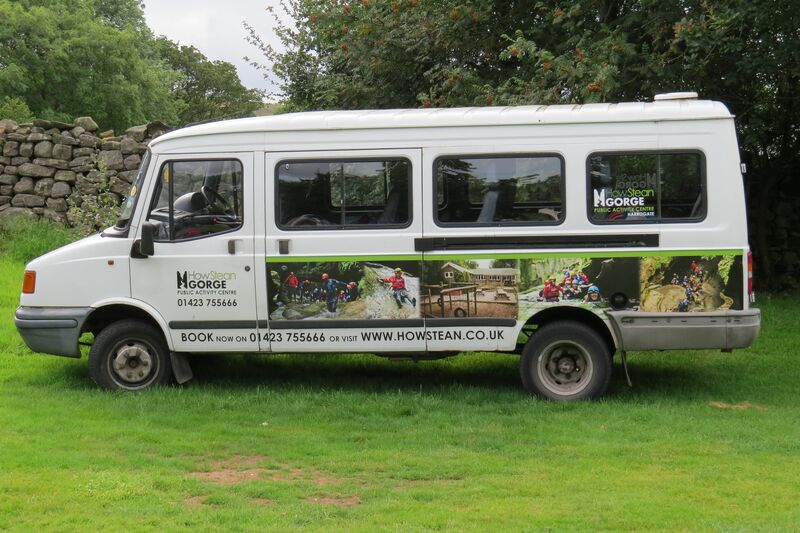 You may be an educational or corporate group participating in outdoor activities for the day or week or going on an evening trip to Harrogate or Leeds, you can instantly get a price from our staff who are available 7 days a week. How Stean Gorge have 3 employees who hold their CPC for public service vehicles, who will be delighted to transport you here to How Stean Gorge or to your function. We will take care of you and ensure you are returned safely. How Stean Gorge is a verified 3 star camping park with 26 pitches but also offers accommodation at the following venues. If you haven’t got a tent, don’t worry, we have a number of 8-berth troop tents available to hire. These tents do not have separate rooms for sleeping, there is just one large open space. There is plenty of space in the campsite area for playing games on the grassy slopes and having fun.